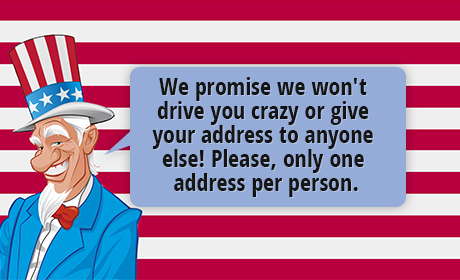 Choose from our huge selection of patriotic decorative souvenir gifts that show off your American spirit. From our statues and plates to musical snow globes and keepsake boxes the perfect patriotic decorative item to display in your home is here. Our pink gemstone tree is designed after the flowering Japanese Yoshino trees a great Shinto meditation focal point for meditation and yoga. Here's a gift anyone would love to have on their desk, this beautifully crafted rich, mahogany-finish wooden box features a hinged lid and full color porcelain tile artwork, while the inside is finished in a luxurious tan ultra-suede material. This patriotic, pewter U.S. Capitol Dome candle snuffer features a long handle to keep dress and adds a touch of luxury to any meal. This Washington DC souvenir snow globe features several Washington landmarks including the Washington Monument, the U.S. Capitol Building, and The South Portico of the White House, the Lincoln Memorial and the Jefferson Memorial. DC Gift Shop is offering a polished silver-colored bell featuring a spinning plaque depicting both the North and South Portico (entrances) of the White House in the handle. 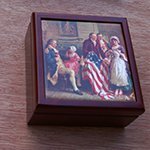 A patriotic gift suitable for any desk, this beautifully crafted mahogany- finish wooden box features a hinged lid and full color porcelain tile artwork, while the inside is finished in a luxurious tan ultra-suede material. This polished pewter candle snuffer has a classic long handle design with a decorative touch of the 18th century symbol of hospitality, the Pineapple. The design on this pewter bottle opener was inspired by the 18th century symbol for hospitality, the pineapple. This Mount Vernon Original ReCorker is a reusable bottle stopper. The enamel on copper top is kiln fired to give a permanent glass finish. Remove the lid to fill your keepsake box with cut or faux flowers for a simply beautiful centerpiece or use it to hold silverware and napkins at a buffet table. George Washington's Coat of Arms was descended from his English ancestors and was brought to America in the 17th century when Washington's great grandfather emigrated to Virginia.